Discussion in 'Located/Resolved' started by SheWhoMustNotBeNamed, Apr 12, 2019. 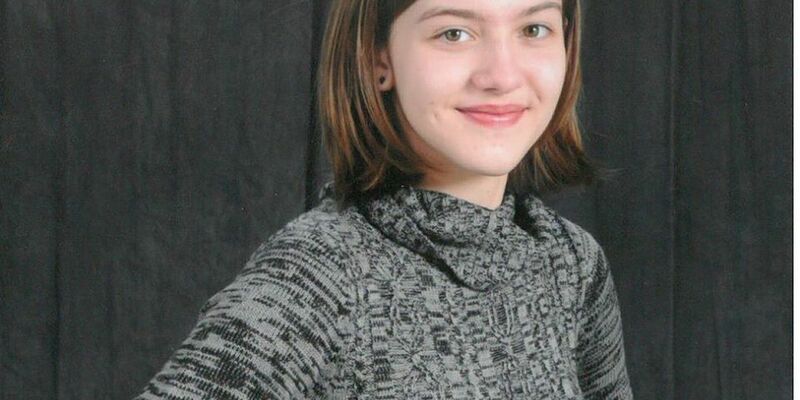 Police in Uniontown are looking for a missing 16-year-old girl who suffers from Relational Attention Disorder. According police, Kallie Gerhring Zajackowski has the mentality of a 7-year-old and is “extremely vulnerable”. Police added she has no known friends and is home schooled. Family members said she was last seen on April 11 around 9:15 p.m. in the Forest Meadows area and discovered missing around 8:15 a.m. Friday. Police also said she may have left on foot and is possibly wearing a hoodie to cover where she shaved the hair off one side of her head last week. UNIONTOWN, Ohio - The Uniontown Police Department has located 16-year-old Kallie Gerhring Zajczkowski. Zajczkowski was last seen Thursday around 9 p.m. and reported missing Friday morning. Police described her as "extremely vulnerable." According to Uniontown Fire, a resident reported that Zajczkowski approached them Saturday around 4 a.m. and asked to stay the night. According to the resident, Zajczkowski ran away when she told her she was going to contact the police. Around 6:30 p.m. Saturday Uniontown Police Department announced on Facebook that Zajczkowski has been located. She is "safe and in good health." Police thank everyone who helped with this investigation.